During summer the typical garage is a hub of activity. In addition to being the primary storage space for most outdoor sporting equipment, your garage also houses gardening tools and supplies. Many homeowners look forward to working in the yard. After all, gardening can be relaxing and enjoyable. However, hunting through a disorganized garage for gardening supplies is exasperating. Doing so leaves one exhausted before the real work has begun. If so, you know how frustrating it can be. Locating essential tools and supplies is just the first step. Finding a suitable workspace is quite another. Gardening, bike repair, crafts and hobbies all require a flat work surface. Yet, few garages have dedicated workspace for gardening or other tasks. Such tasks are handled easily and efficiently in a designated workspace. A reserved workspace also eliminates the need to attempt messy gardening jobs, like planting seeds or re-potting plants, indoors. A dedicated workspace for gardening and other hobbies can be created in your garage, even when space is at a premium. Like landscaping, it’s a project that homeowners can tackle themselves or hire a professional to handle. A garden workspace can be achieved relatively inexpensively by re-purposing old furniture, cabinetry or reclaimed wood. However, if you require a more comprehensive solution, a garage renovation specialist can help you achieve your vision. What tasks will be performed in the workspace? How much flat surface area is required? What tools and supplies are needed? Where and how will they be stored? How much wall space is necessary to house workspace and supplies? Is the current garage lighting adequate? Is special task lighting required? If this level of planning is more work than you’re willing to take on, consider hiring a professional to create the space for you. A few of the workspaces Nuvo Garage has created for our clients are pictured. 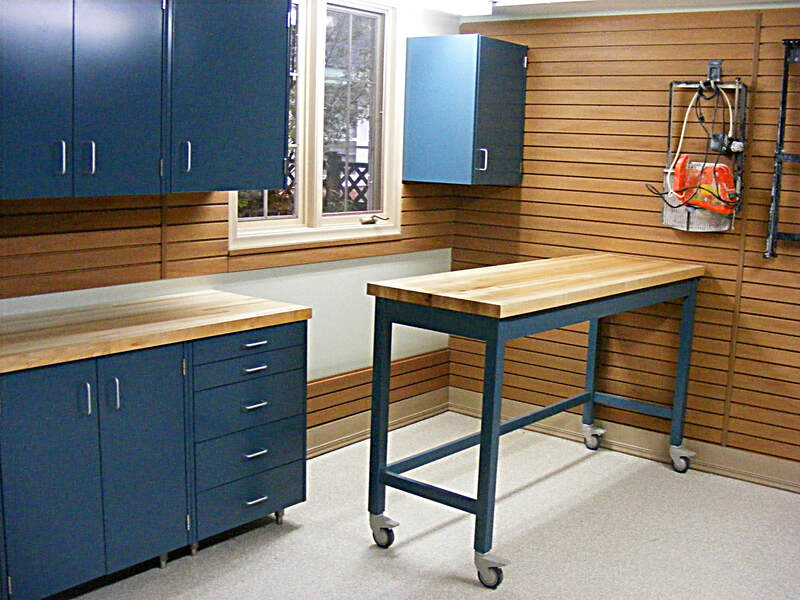 However, if you’re thrilled by the idea of creating your own garage workspace, let’s look at some inexpensive options for doing just that. With your plan in hand, you’ll have an idea of how much wall space is required to create your gardening workspace. 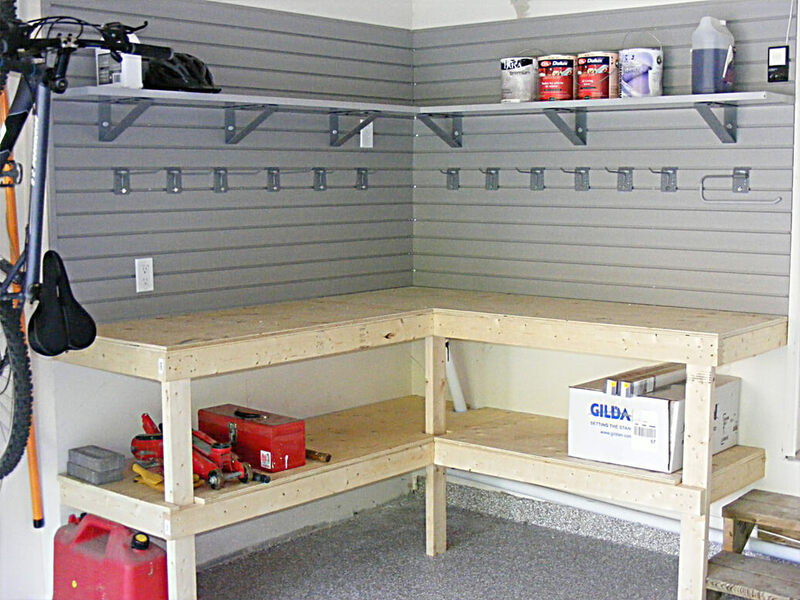 Reclaiming this space should be part of an overall garage organization strategy which relies on zones for the storage of related items. Get a no-cost work surface by reclaiming an old desk or dining room table taking up space in your attic or garage. Acquire a used table or desk from a garage sale or resale shop. 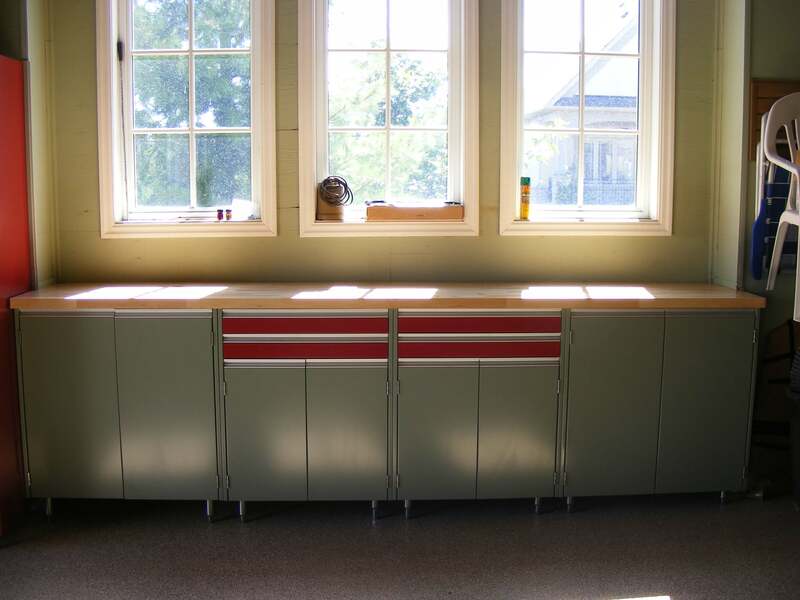 Purchase two relatively inexpensive base cabinets (with doors or drawers for storage). Space them apart. 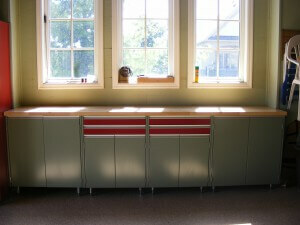 Then lay a flat piece of wood, an old door or a purchased countertop across them to create a flat work surface. Buy a modular or pre-made workbench with space for storage underneath. Your flat work surface will be the foundation of the space. Next, consult your plan to see what additional storage is necessary. There are a variety of creative ways to address storage needs. Shelves, baskets and hooks can hold everything from flowerpots and gloves to assorted gardening implements. 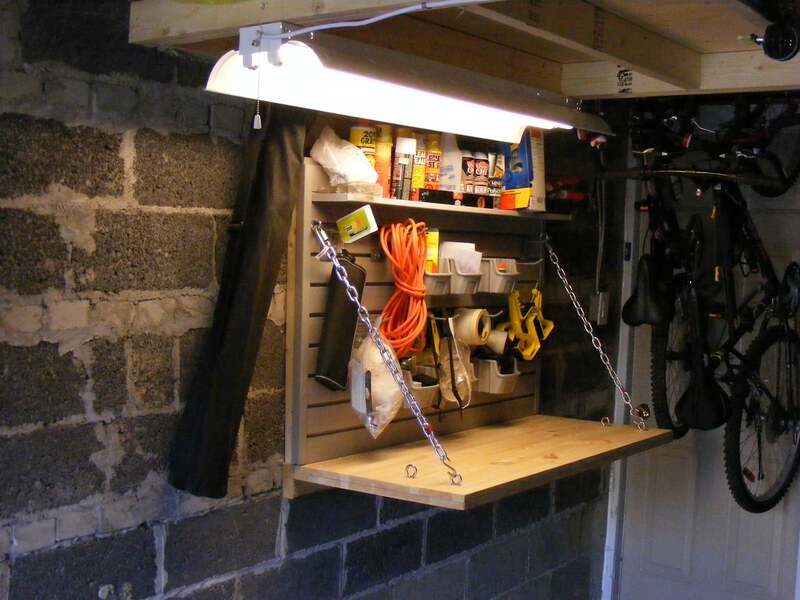 When coupled with a professional garage wall organization system, shelves, baskets and hooks can be easily moved or adjusted to accommodate any season or craft. Need to store small items that are easily misplaced? Clear plastic boxes or reclaimed jars provide storage that is easily accessible while keeping contents clean and dry. All you need is a small space, a well-thought out plan and a few pieces of equipment and accessories to create an organized and highly-functional gardening center in your garage. Creating your own gardening workspace in your garage can be a fun, do-it-yourself weekend project. However, such a space can be part of a larger garage organization and renovation project. Not quite sure how to make heads or tails of the collection of belongings in your garage? Contact your neighborhood garage renovation specialist for a no-cost, no-obligation estimate.